In a rational world, politicians voting on whether the climate changes or not is absolutely ridiculous. Evidently the climate changes - it always has and always will. 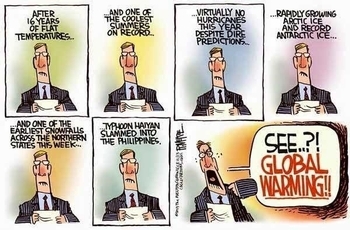 However when Democrats use the term “climate change” what they really mean is “global warming.” And global warming has been the greatest hoax of the modern era.